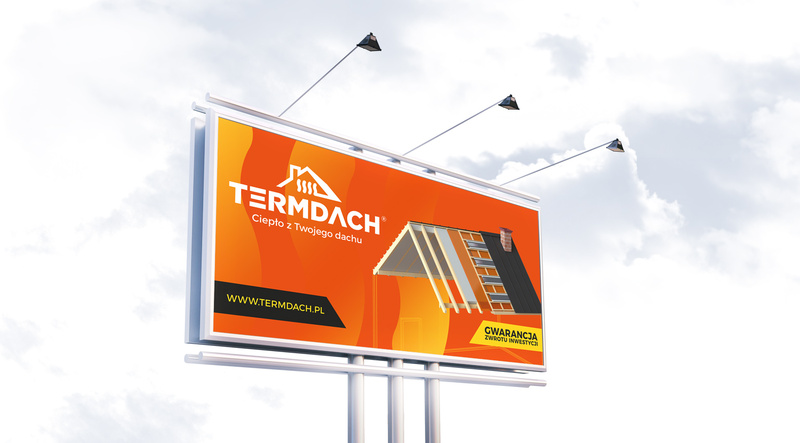 Termdach System is an innovative solution for renewable energy and heat recovery from the roof. Our task was to develop a comprehensive set of advertising materials, which clearly showed the principles of product operation and its advantages. We have not only dealt with creating content and design of all materials, but also their manufacture. We started our work by developing all the content and preparing a key visual. 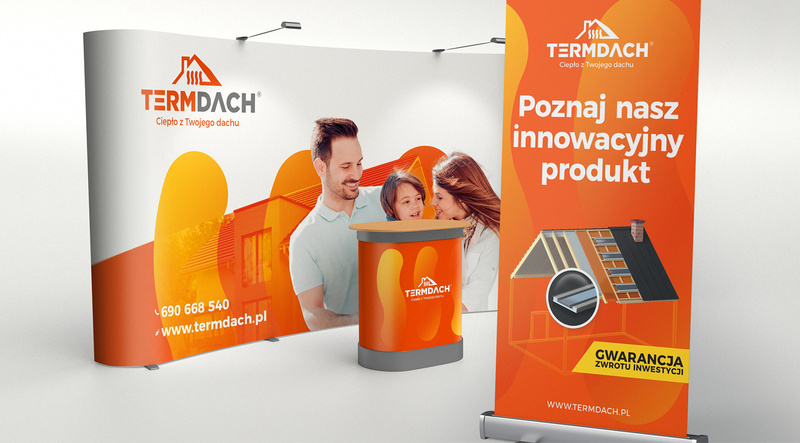 We have created a set of materials for the fairs – POP-up wall, stand, roll-ups and x-banners. Within the framework of comprehensive graphic service, we have also developed typical materials supporting product sales – leaflets, posters, press advertisements. The next stage of the project was to design outdoor advertising, which is designed to make it easy to inform about the new product and encourage people to get more information about it through the website. 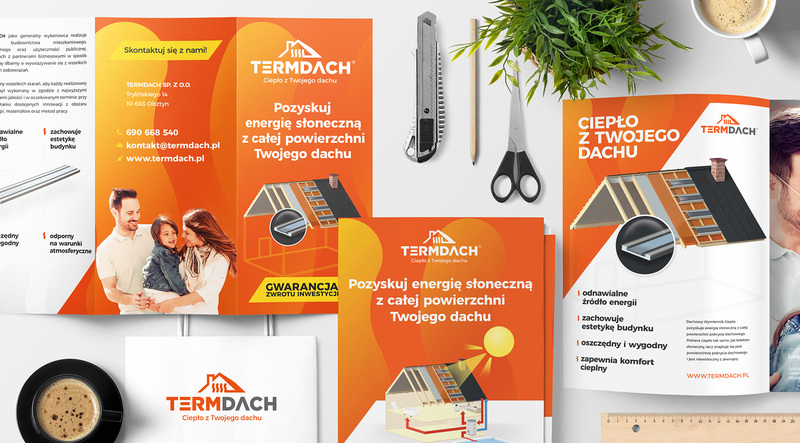 We have also designed the construction grid with the Termdach System’s logotype, which in this way, also became an additional medium of product information. 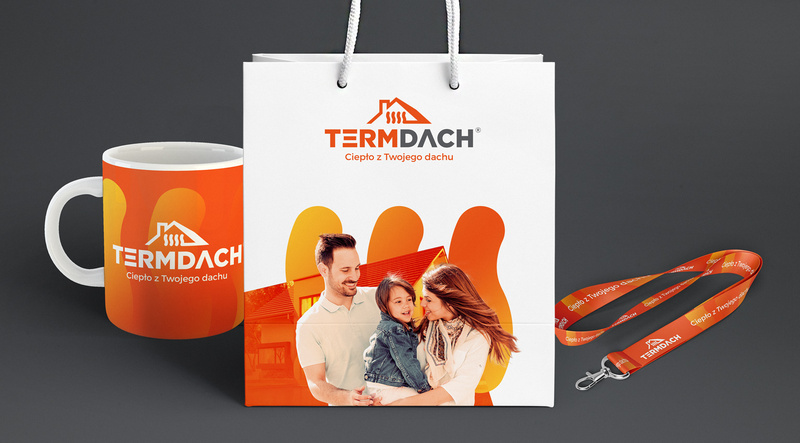 Together with the basic advertising materials that support product sales, we have also designed gadgets such as advertising bags, mugs, thermal mugs, pens and advertising lanyards. Gadgets are a very popular way of attracting customers’ attention, especially at the fair, where every visitor can receive a small gadget. In this way, we also build the brand image in consumer awareness.